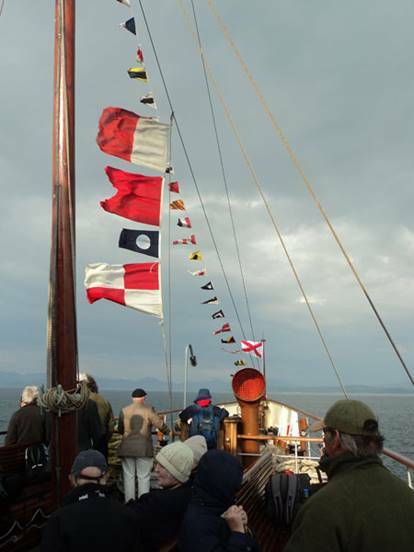 Captain Ross Cochrane took up his command of the Waverley on Friday 27 May 2016 with a sail from Glasgow Pacific Quay to Dunoon and Loch Long. A weekend of sailings followed with the destination being Tighnabruaich on Saturday, Lochranza on Sunday and Rothesay on Bank Holiday Monday. The Tuesday saw the steamer undertake the long sailing from Glasgow to Oban and then on to Armadale (Isle of Syke) on the Wednesday where she started her excursions trips. 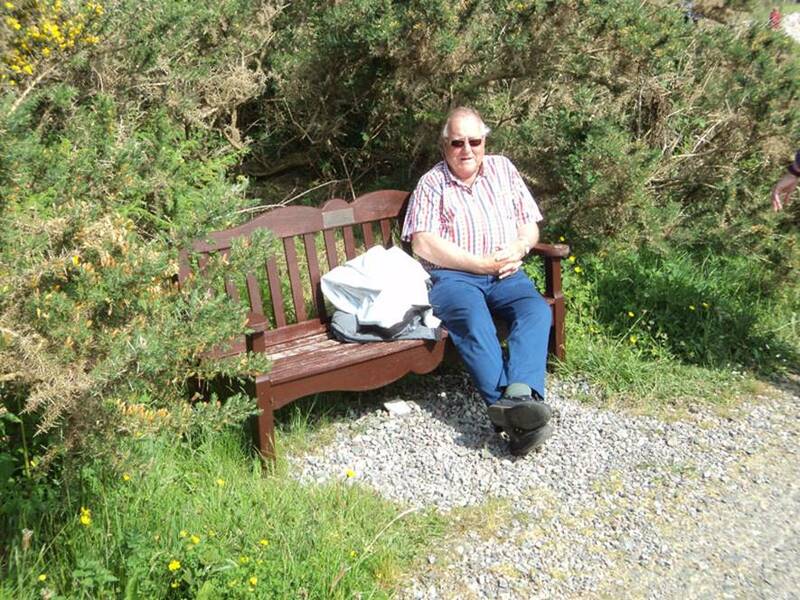 The first one was a round trip to Inverie for an hour ashore. Unfortunately, this coincided with the Wednesday closure of the Old Forge pub! Once this trip had been completed the steamer re-positioned to Kyle of Lochalsh ready for two days of excursions from there. On Thursday the weather intervened and strong winds prevented both calls at Portree, the paddler turning back off Raasay. Instead of crossing to Gairloch on the mainland coast, Waverley headed south through the Kyles and steamed round the Isle of Eigg. During the circumnavigation there was a Coastguard exercise with a swimmer being lowered on board from a helicopter and then picked up again. 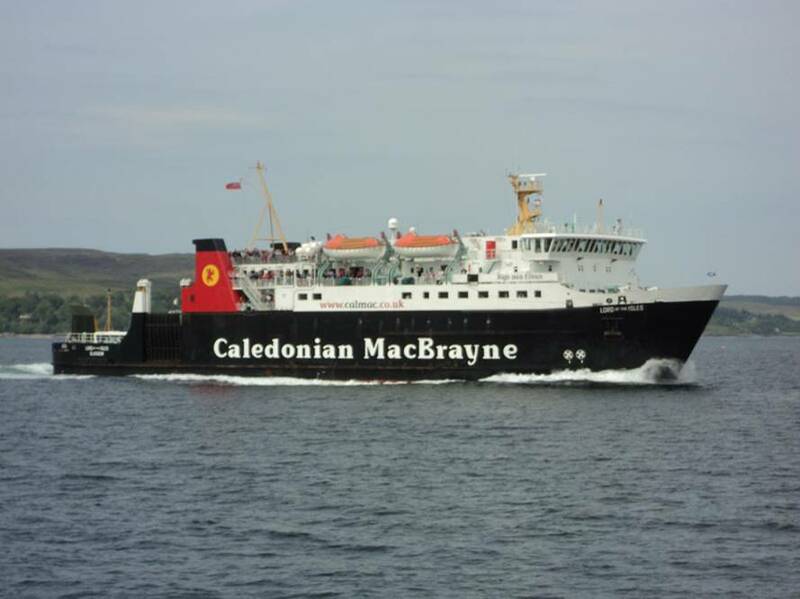 One call at Portree was achieved on Friday but the wind increased again during the sail round the Isle of Raasay and the second call was abandoned, with passengers coached back from Kyle. Then the paddler returned south to Oban, arriving at around eleven o’clock. and her place at the link span taken by her running mate Lochinvar. 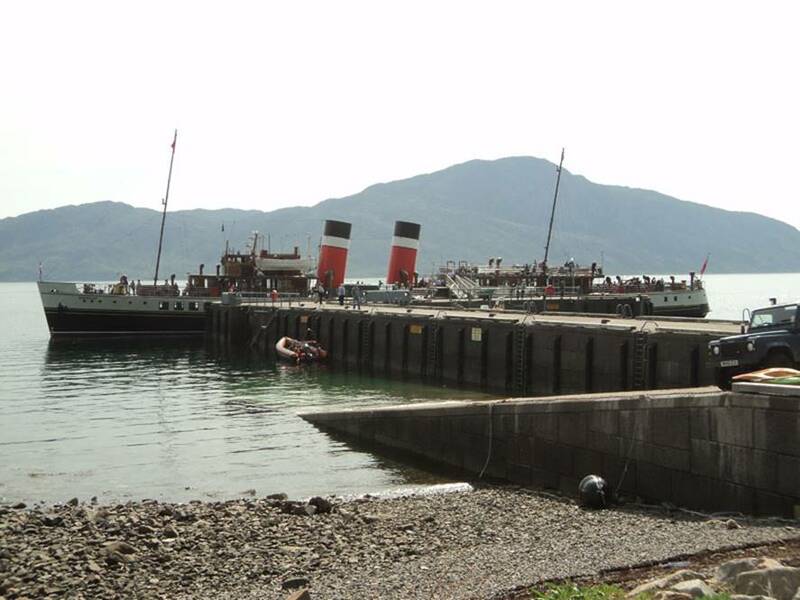 As the incoming ferry was smaller there was now space for Waverley to go alongside as well. 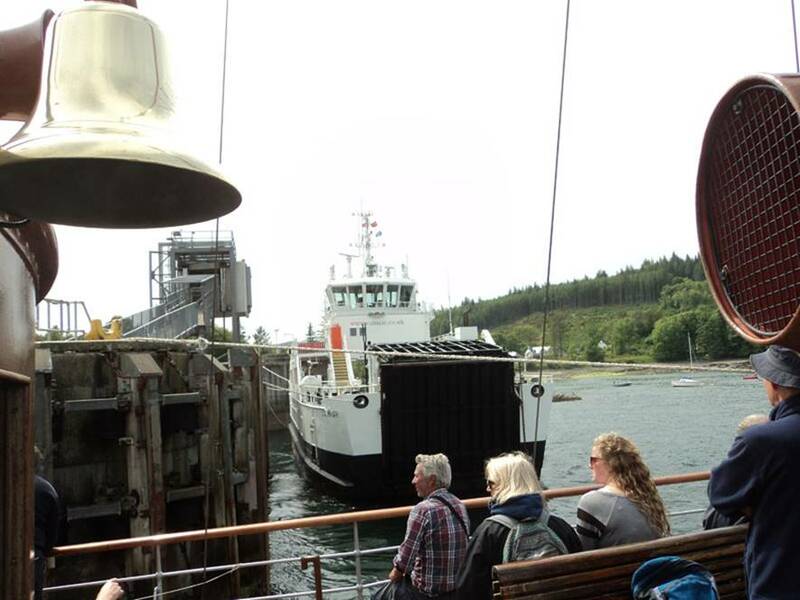 After our exchange of passengers, we turned east for Loch Nevis and the remote mainland pier at Inverie. This village still has no road access and the only transport link is by sea. 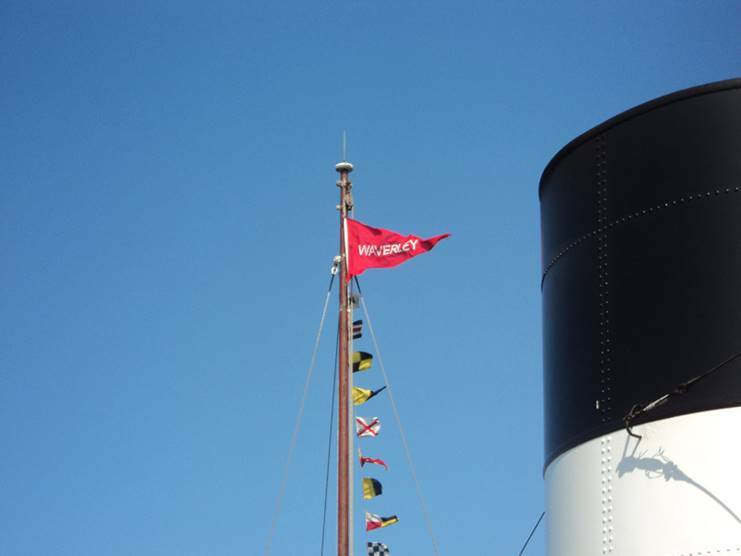 By the time we berthed at the modern pier we were half an hour behind but nevertheless, Captain Cochrane gave the scheduled 30 minutes ashore. The return passage was uneventful and the steamer docked at Oban’s North Pier for the night. Sunday’s sail did not depart until 12.30 and turned south down the Sound of Kerrera for the now traditional ‘Four Lochs and a Whirlpool’ excursion. Roast beef and turkey lunches were being served as we steamed past a succession of small islands before starting our tour commencing with Loch Melfort and finishing with Loch Crinan via Lochs Shuna and Craignish. Finally, the steamer headed west for the Gulf of Corryvreckan between Jura and Scarba. This is the location of the Whirlpool but the sea was relatively benign although there were small areas of disturbance visible. The flood tide causes the full effects of the Whirlpool, which is the third largest in the world. Once through the Gulf, Waverley steamed back to Oban with views of the Isles of the Sea, or Garvellachs. Later, a two and a half hour Castles and Ceilidh cruise was given, departing at 19.30. 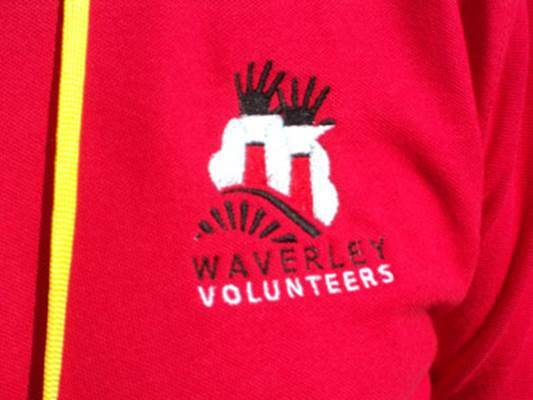 On the Monday the schedule took Waverley to Tiree, calling intermediately at Tobermory. The weather continued to be very favourable and those on deck had to take precautions against sun burn. 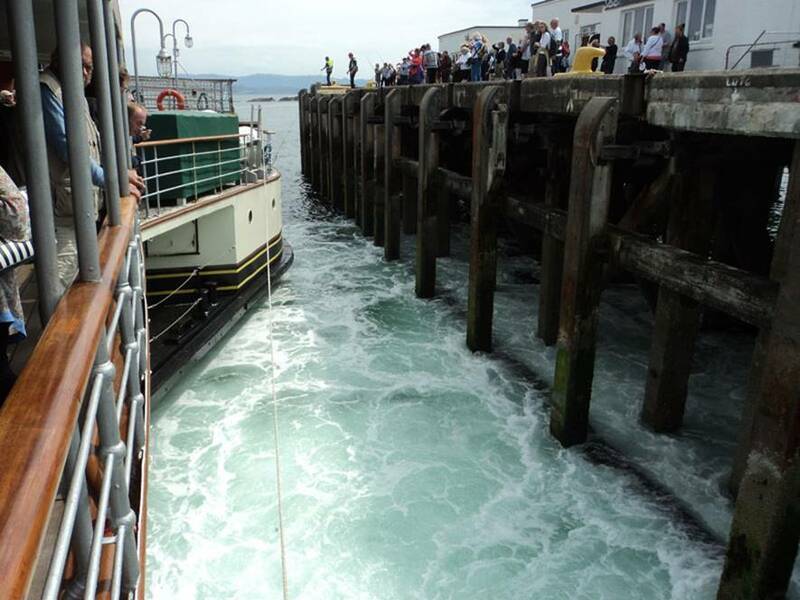 There was difficulty positioning the gangway on arrival at Tiree, owing to timber edging on the pier deck. This was overcome by re-positioning the steamer alongside a convenient gap in the timber. This delay coupled with the number to transfer meant departure for the afternoon cruise to the Gunna Sound, between the Isles of Tiree and Coll, was quite late. Nevertheless, Captain Cochrane gave the full cruise well into the Sound. The tide had risen when we returned to Scarinish Pier, easing the passenger transfer and some time was made up. 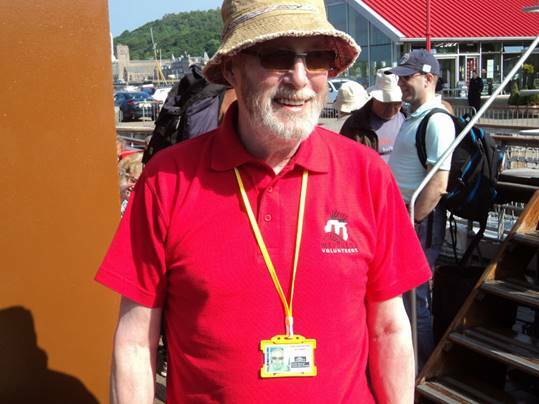 It then transpired that some of our Tobermory passengers had to catch the last ferry back to Kilchoan, which was due to leave 15 after Waverley’s scheduled arrival. Some fast running ensued and the passengers were successfully landed in time. The final leg took us back to Oban’s North Pier where we bade farewell to the paddler until mid-July.